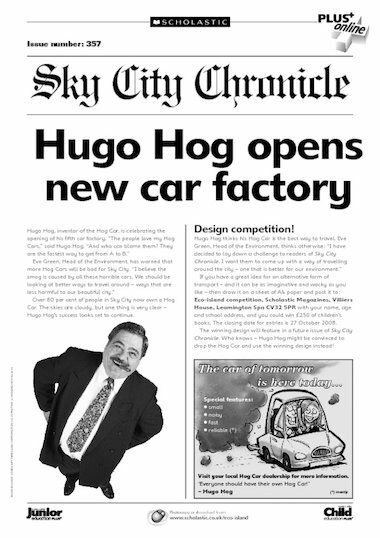 Hog cars are taking over Sky City! Can your class design a better, more eco-friendly form of transport? Eco-island newsletter – Stop the rot!